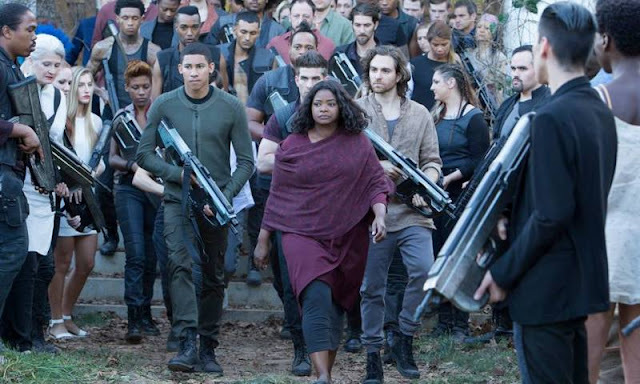 The Divergent Series: Allegiant - Part 1, directed by Robert Schwentke (R.I.P.D. ), is the latest installment in the series of films adapted from the young adult novels which were written by Veronica Roth. The movie stars Shailene Woodley, Theo James, Naomi Watts, Jeff Daniels, Miles Teller, Zoë Kravitz, Octavia Spencer, Ansel Elgort, Keiynan Lionsdale, Maggie Q, Bill Skarsgård, Ray Stevenson, Mekhi Phifer, and Ashley Judd. 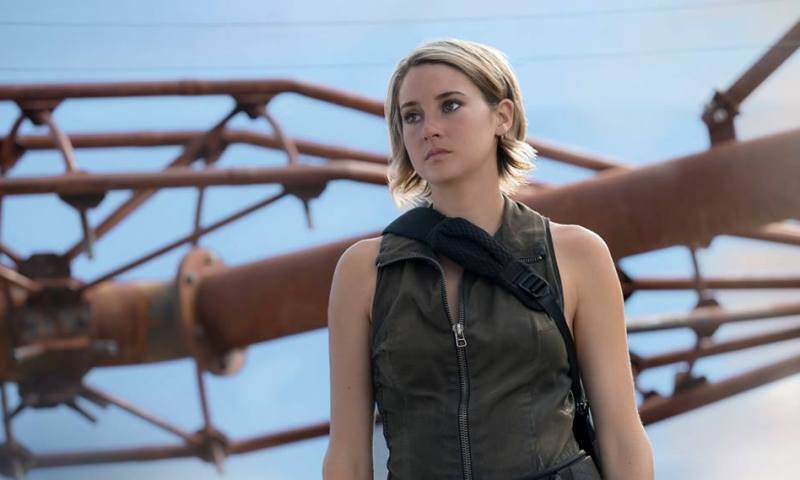 With Evelyn (Watts) having taken over control of Chicago from Jeanine and her faction based system of rule, Tris (Woodley) and Four (James) decide it is time to answer the call and leave the city. 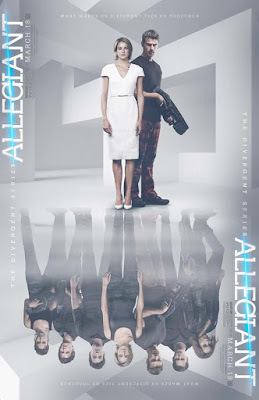 What they find is an advanced society run by a man named David (Daniels) who teaches Tris about how special she really is and how they can make the world a better place. Meanwhile, Four becomes suspicious of their new surroundings and sets out to uncover it's secrets. This is the first of the series that I have actually reviewed even though I have seen them all. Not sure if that means anything, just felt like mentioning it so there you go. 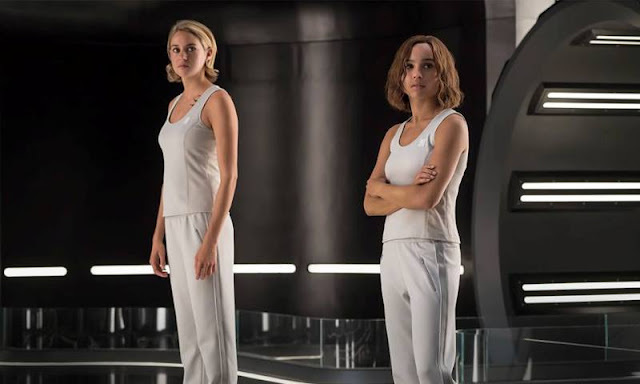 Allegiant is one of those films I walk in to not having much of an expectation and especially so with this one since the first two films haven't been impressive or memorable in any way. The one thing these films have going for them is they are consistent as this new installment really isn't any better than the others. Director Robert Schwenke took over the franchise with Insurgent after creating R.I.P.D. which is quite honestly one of the worst movies I have ever reviewed. Fortunately, his work on these stories is actually quite a bit better than that effort although that really isn't saying much. There have been a lot of comparisons between these movies and the Hunger Games franchise for obvious reasons. They are both set in the future, adapted from young adult novels, and feature a female lead although there are some very stark differences between the two as well. For one, Jennifer Lawrence is a legitimate movie star and an all around outstanding actress. While I enjoy Shailene Woodley's work, I really don't see her carrying a franchise like this, even with a cast that is pretty stacked up behind her which includes some really strong talent like Miles Teller (Whiplash), Naomi Watts (Birdman), and Octavia Spencer (The Help). The real problem here though is that the story itself just isn't that great to begin with so translating that to a cinematic experience makes things even more difficult for everyone involved. 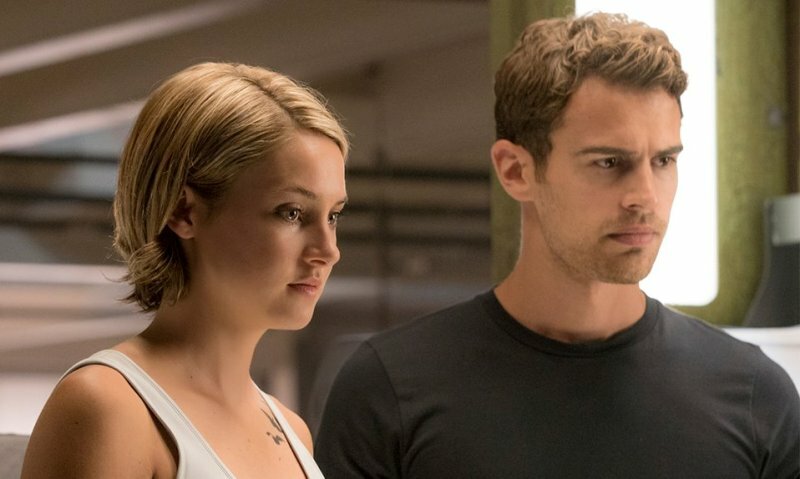 The Divergent Series: Allegiant - Part 1 is a title that actually makes you not want to see the movie and there is really nothing else about the film that would make you feel otherwise. If you are a big fan of the previous movies or the books, you might enjoy this film...maybe. I did not watch the film in 3D or IMAX so not able to give any info about seeing it in those formats.